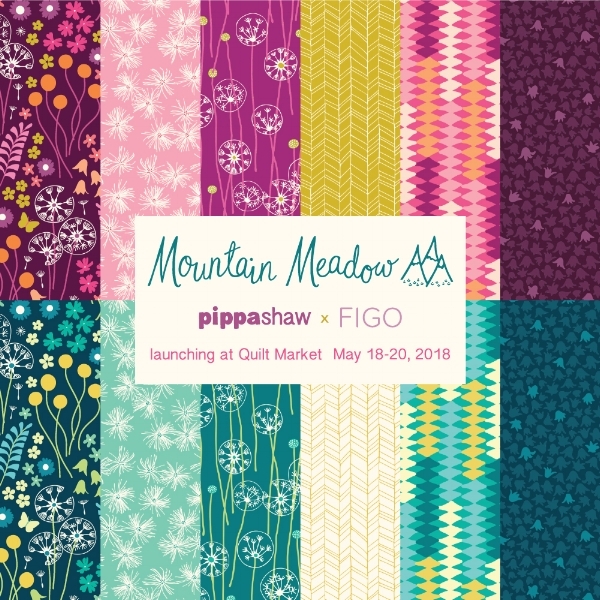 Those of you who are fortunate enough to be heading to Spring International Quilt Market in Portland, Oregon this week, be sure to check out the new collections that will be launching with FIGO Fabrics (one of which is my Mountain Meadow collection, featured above)! Unfortunately I won't be able to be there in person as I have a wonderful family event that I don't want to miss, but I will be following along with all the fun online. I know that some gorgeous items have been created by many talented people using these fabrics and I can't wait to see the fabulous FIGO booth as they've put so much love and hard work into designing and creating it.